This entry was posted in Varieties and tagged bees, onions. ← Four for the pull of three. 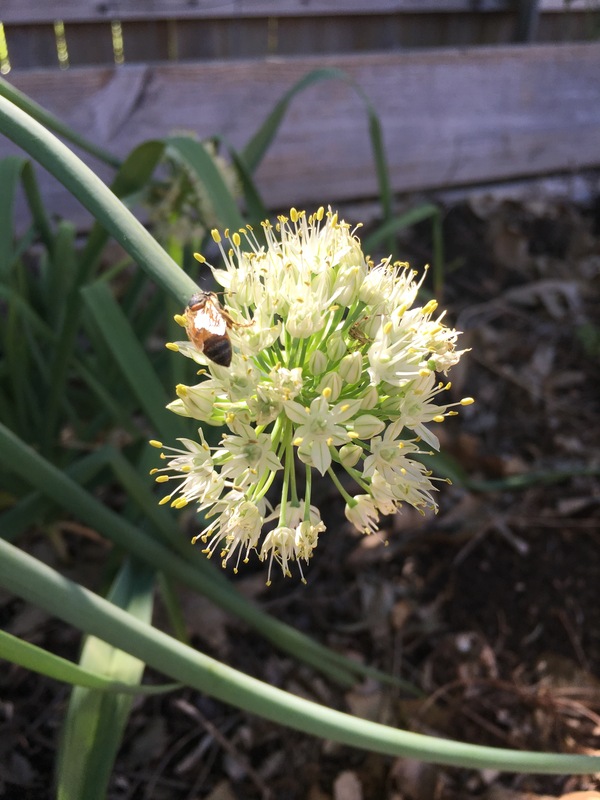 I love onion blossoms! Mine have not yet popped. I do, too! Interesting that yours are after mine. Usually you’re ahead of me. Yeah … what’s up with that? Your guess is as good as mine. Maybe I planned mine earlier than normal.